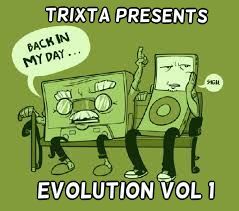 So here's the latest mix.."Evolution"! It's basically a cross of some classic old school tracks and ends with some newer tracks. This is the first of a few that I will be releasing through out the year. I hope you enjoy. Every comment and vote is appreciated. Trixta...Dance like no one is watching! Hey my friend great vocal from you loved it mate great work DJ Trixta is in the house from New York. Excellent, nice job!!!! I will follow your work!! Regards!!! Great stuff Trixta! Roll on to the next one! Cooool mix for the coming week!!!! Not even 1/2 way through and loving it!! Cant wait for the next ones! !